Genoa-Kingston takes on Rockford Lutheran during their IHSA class 4A second round playoff football game on Friday, Nov. 4, 2016 at Genoa-Kingston High School in Genoa. Zach Miller of Genoa-Kingston catches the ball for a first and goal ahead of Rockford Lutheran's Kyle Morgan during their IHSA class 4A second round playoff football game on Friday, Nov. 4, 2016 at Genoa-Kingston High School in Genoa. 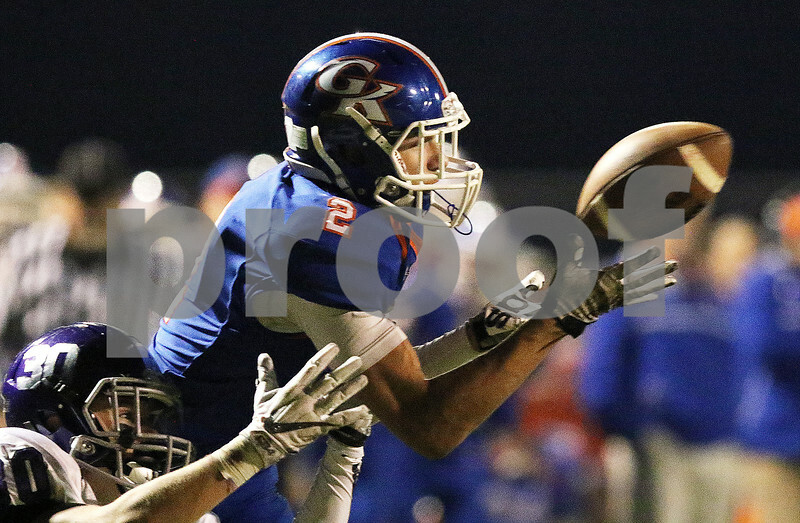 Genoa-Kingston won 34-25 and is still undefeated on the year with an 11-0 record.